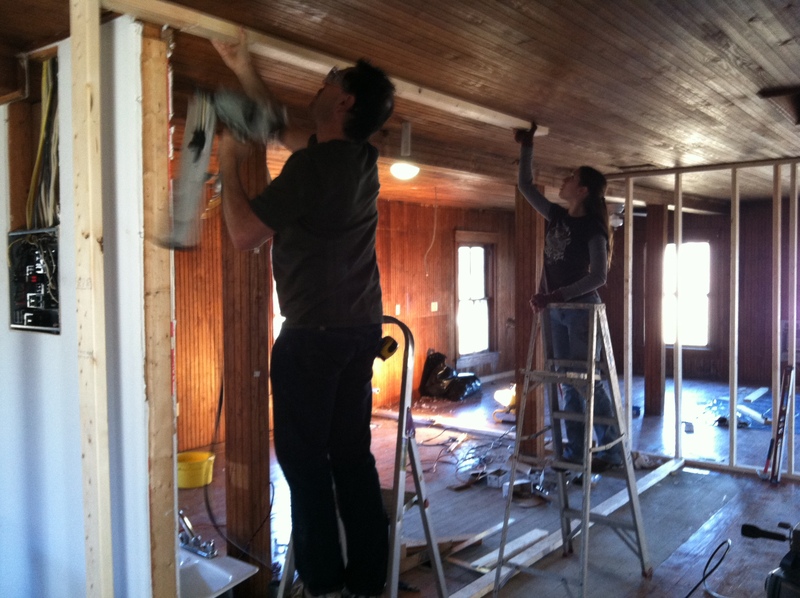 So in the past few weeks we’ve been working our butts off (well, mostly Mom and Dad because I work most weekends) to get the house ready for us to move in by the end of February. So that means walls have gone up, electrical has gone in, and cleaning has begun. Well, some walls are up anyway. One spot even has drywall on both sides of the wall! Look at that. Look at that foot wide portion of wall with wall on both sides. Aww yeah, best thing ever. So we’ve gone from “hey, we’ve got some 2x4s on the ground to tell us where stuff is” to having bedrooms that are starting to look like bedrooms! A few weeks ago, the one wall of studs was all we had. 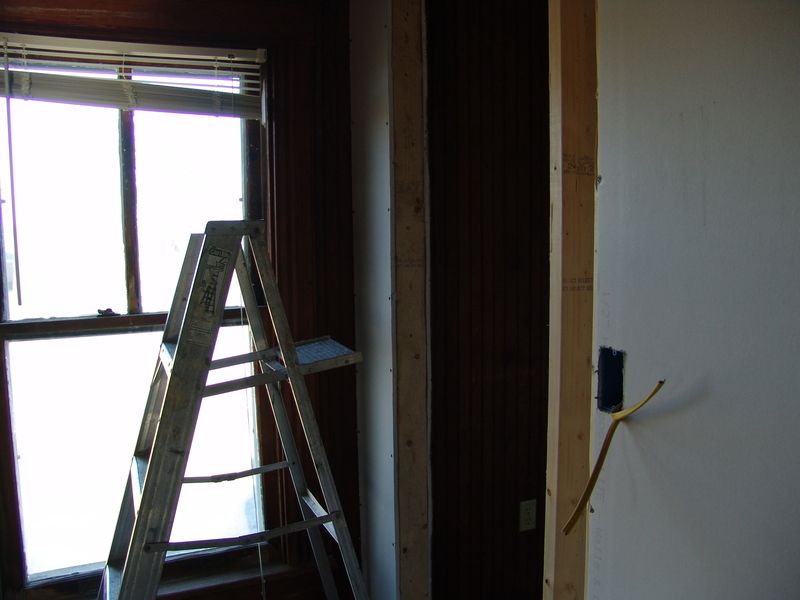 Now most walls have at least one side of drywall on them! Dad’s spent most of his time setting the studs and running electrical while Mom and I have begun to learn the art of hanging drywall. It’s all well and good until your floor to ceiling measurement changes depending on what side of the house you’re on and you’ve gotta try and shave off half an inch from the top of the sheet. 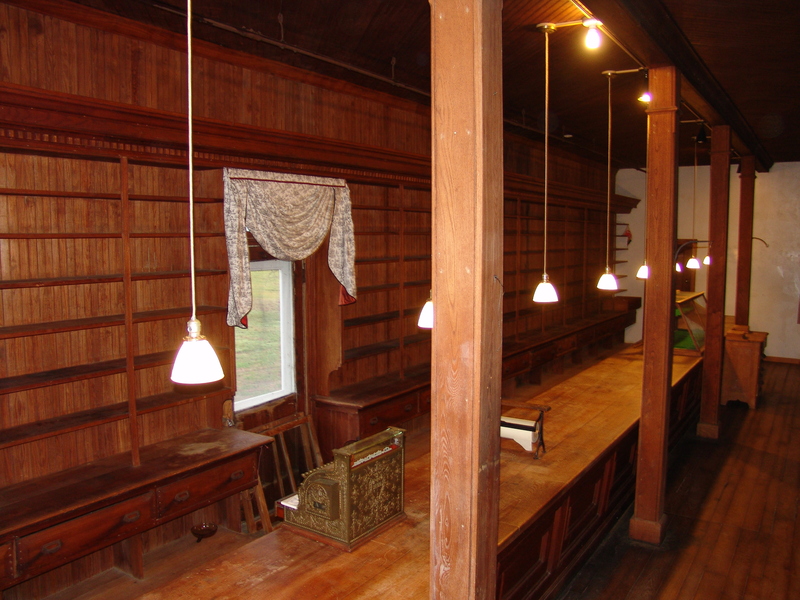 Then again, we are doing this in a one hundred year old building. It’s allowed to be a little crooked. 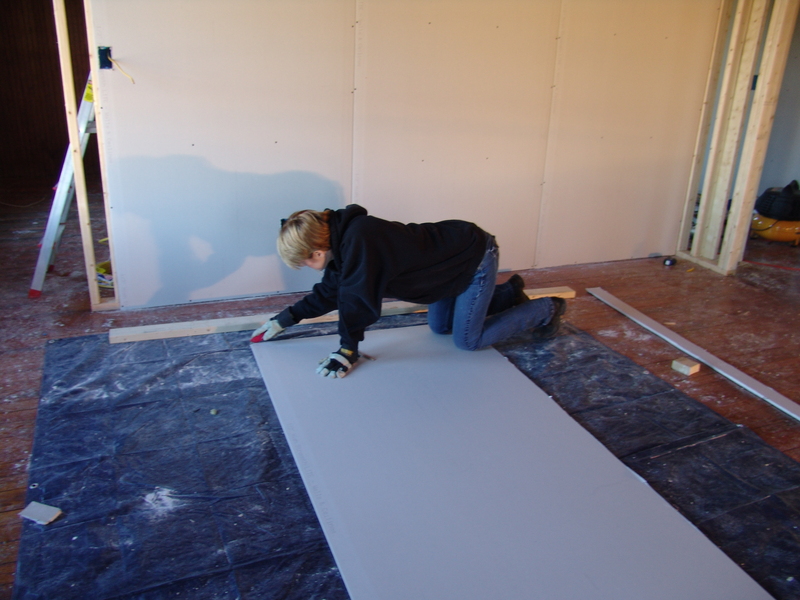 Mom working on drywall. Just needed to trim off about half an inch. In the hallway working on the bathroom wall. Well the studs are in and Dad’s framed the door to my bathroom by now. Look at that, that’s insulation. 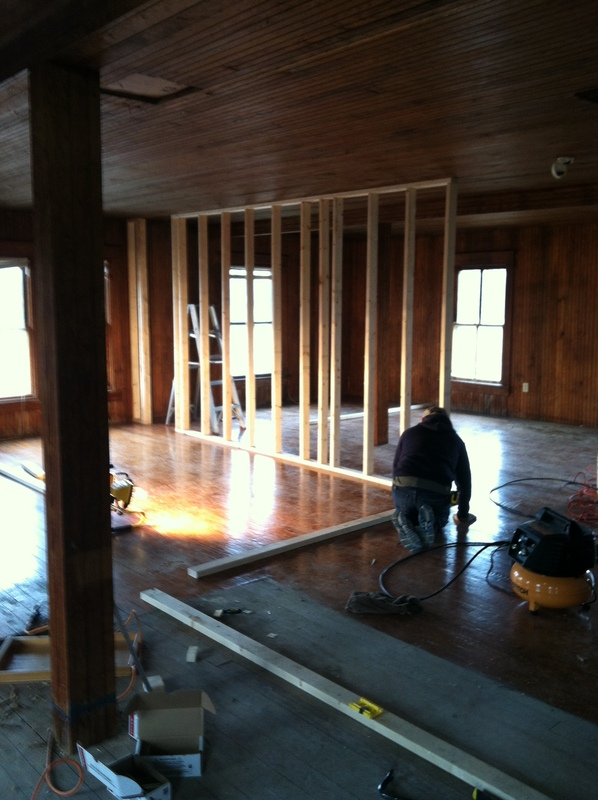 Insulation means walls are getting closer to being walls! 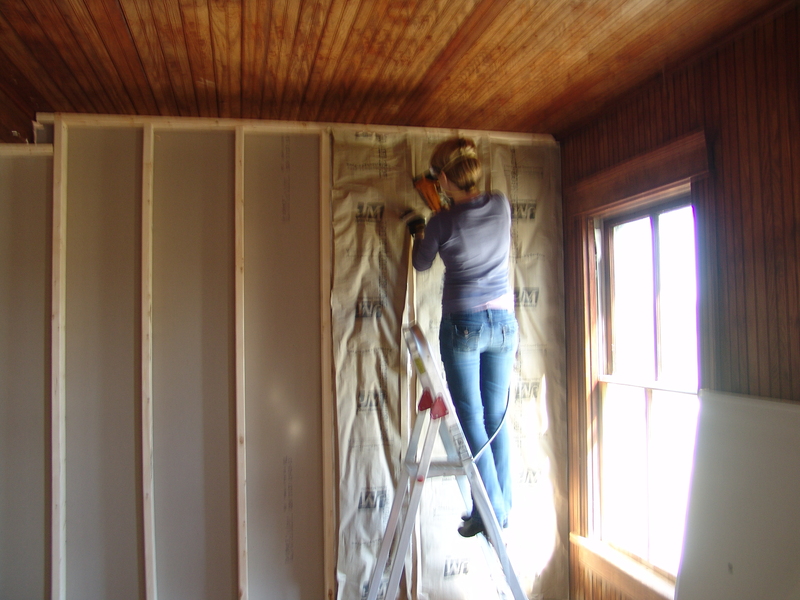 Mom has insulation in one wall at least. This place is finally starting to look like someplace we could live. Not that any of us can believe we’re actually moving there yet. It’s still too surreal I mean look at this place. Left side of the store, cleaned up but still in need of a good polish. Our landing. Still haven’t decided what to put in that glass case yet. Mom said no to the 1700s era musket I want. Maybe part of it’s because we came from cookie cutter California houses to this but I definitely can’t grasp the concept of living someplace this awesome. I got to spend a few hours there week before last and cleaned up the left side of the store, still didn’t fully click. I also learned a few things while I was cleaning that day. One, I still hate spiders. 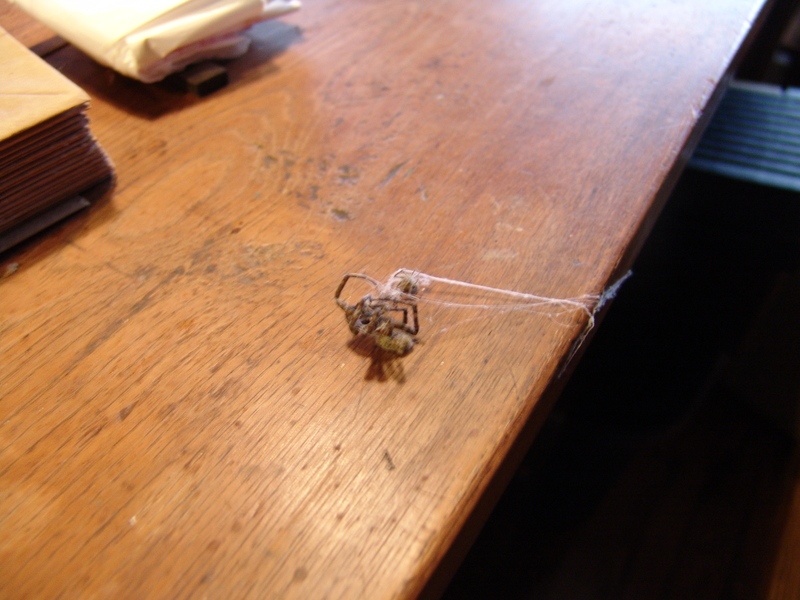 Two, I still reaaaaaaally hate spiders. Three, this is not an image I wanna come home to ever again. I swear to god I thought Dad had set it up on the counter on purpose just to mess with me. Just….just no. No. Noooo. Spiders baaaad. There was also the point in my day when I was taking the antiques off the shelves and looked into a cup that ended up having a giant dead cricket in it. I can neither confirm nor deny the occurrence of a brief panic before I realized it was, in fact, most sincerely dead and just a cricket. I have never seen so many cobwebs in all my life, and I only cleaned half the store that day. Half. And to be fair, it was the easy half. On the bright side, I now have all sorts of gorgeous photos to show you guys between that and getting the flash to work on the good camera. 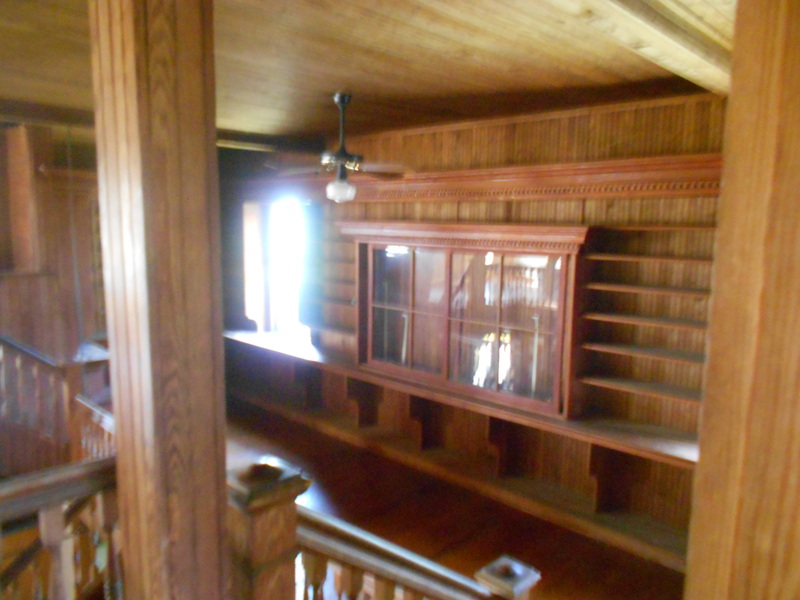 Can’t wait to get some books on those shelves. I can’t comprehend the fact that in a month I’ll be able to walk down into the store whenever I want. My piano is going to be sitting in that store and don’t even get me started on how awesome it’s gonna sound to be playing in there. Well, when we get heat in and my fingers don’t fall off at the knuckles from the cold when I try to play. Speaking of heat (see, look at that segue, pretty smooth huh? ), we’re getting that. Eventually anyway, when it stops snowing and they can get back out to work on it I suppose. Yeah, it’s been snowing a bit. Anyway, Redlaw Mechanical is out putting in our new heater so we’ll have that plus the wood burning stove to rely on, which is good because I don’t want to find ice accumulation in the downstairs toilet bowl after we move in. Yes, that actually happened. I was going to take a picture and document it for everyone but the lighting made mom’s bleach scrubbed toilet look like it did before she bleach scrubbed it and she said no. Last weekend I worked but late enough in the day that I got to spend a few hours at the house with Mom and Dad. They kept working on the same stuff we’ve been working on for weeks and I (because I couldn’t get too icky since I had to go straight to work after) cleaned the landing. I’m pretty sure I was twenty percent dust afterwards though so I’m not sure how well that plan went. All the shelves got cleaned off which proceeded in the following manner. Vacuum, brush off with a minimum of ten strokes a shelf (and still not getting all the dust off) and wiping down with a slightly damp cloth (still not getting all the dust off). It was during the last portion of this, when I was sweeping the floor, that I heard the laundry room start filling with water. But I’ve already touched on that in the last post so I won’t get into it here. Oh! And I found these on one of the shelves. 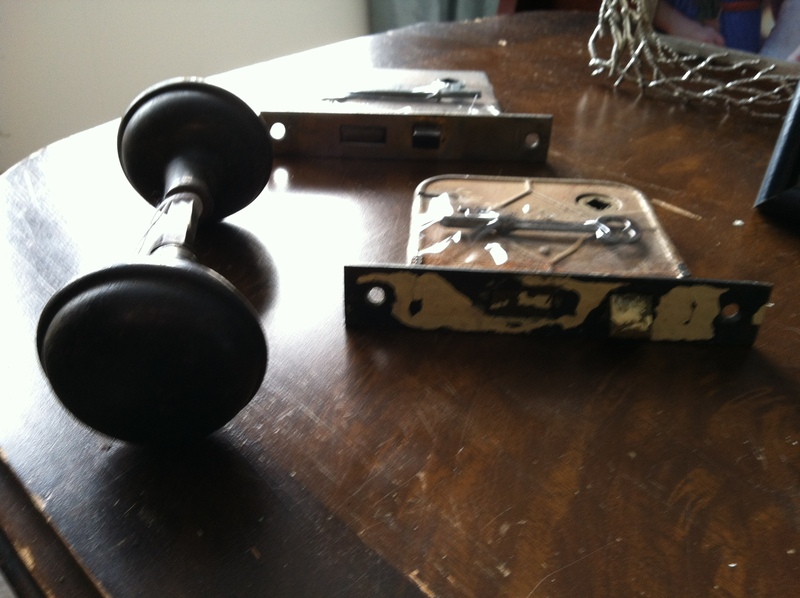 The old hardware I found on one of the shelves on the landing. I don’t know if they’re original hardware pieces from the store, or leftover from the antiques they used to sell here, but I’m excited either way because dude, I found old things. We also have doors. 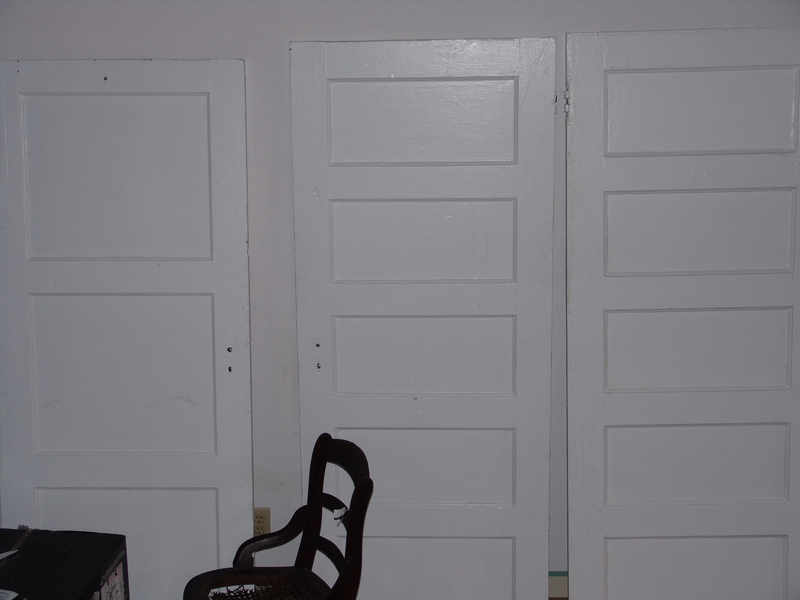 Granted they’re painted white right now and it kills me that someone painted over whatever beautiful wood is underneath but we needed doors, and now we have antique ones. More doors for the upstairs, about fifteen bucks a piece at the Restore in Gloucester. Someone decided to paint those one day. It hurts me on a very deep level. I can’t wait till we can one day strip and restain them. We were also able to get some hardware for them when we went to visit my sister. 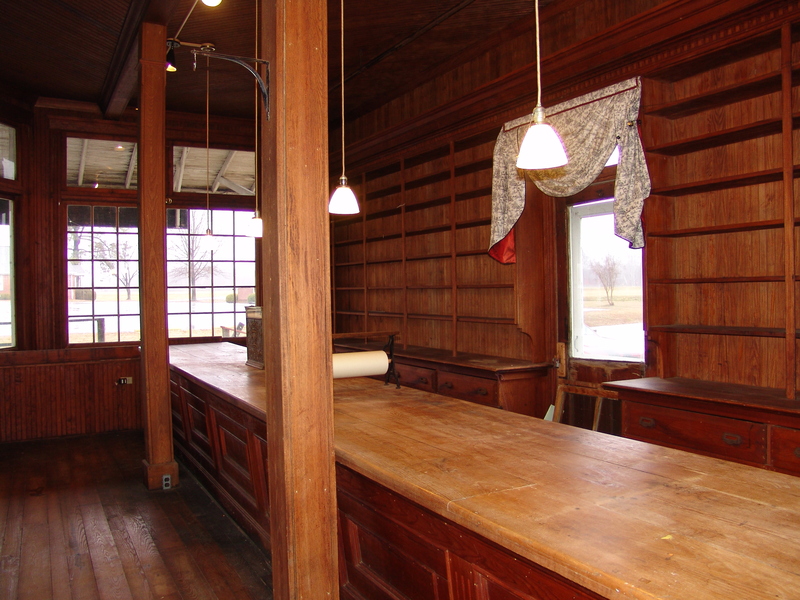 We always end up going antique shopping when we go up there and spent time in a couple stores in Manassas. 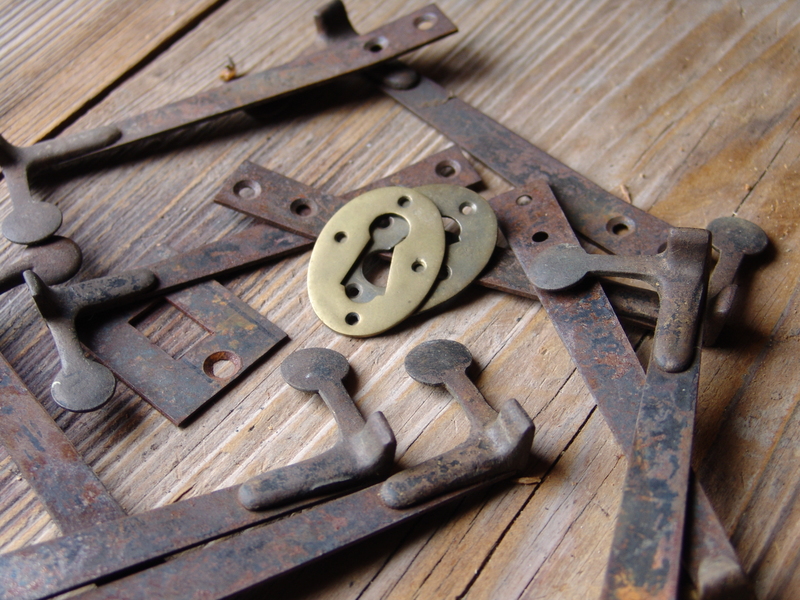 Antique hardware we bought for some of our doors. And last but not least, I will leave you with this picture to further enforce the concept of how cold it was. My father, ladies and gentlemen, is a man who’s been known to wear shorts and sandals during a snowstorm. 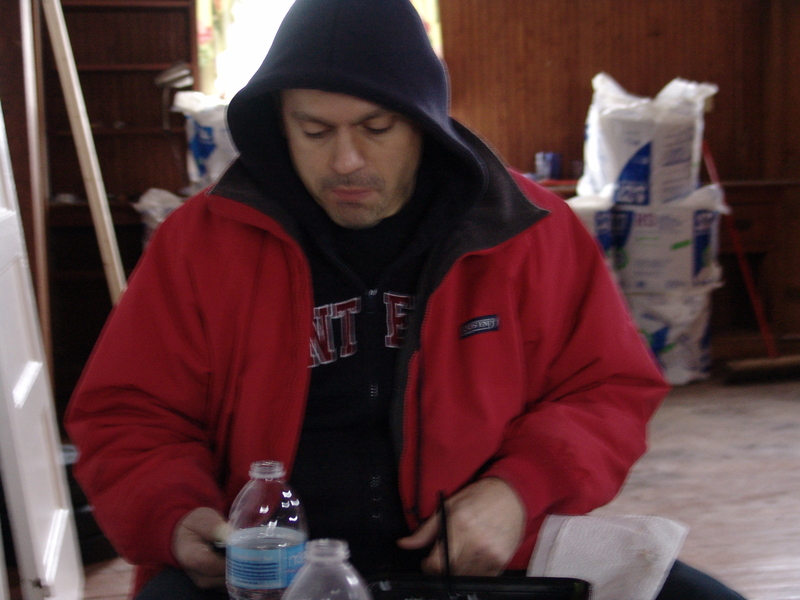 This man, sat down to lunch next to the wood burning stove, like this. It’s really frickin cold. Really. Cold. Looks like you all are having fun. I agree with you. The 1770 era musket would be awesome.